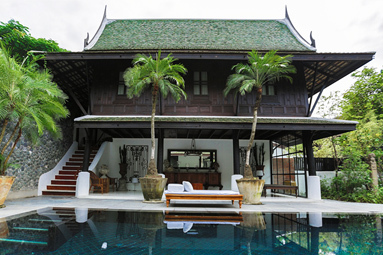 All antique teakwood Thai houses, beautifully and meticulously restored, between 50sqm to 80sqm, raised on stilts and topped with a distinctive gabled roof complete with handmade clay tiles. All villas are refitted to suit modern lifestyles. Spacious bedrooms with ready area and Italian marble bathroom. 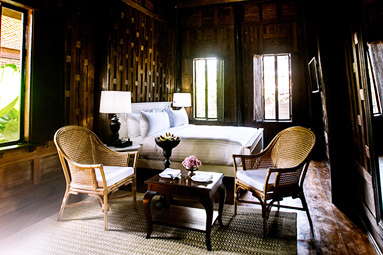 Covered open-air balcony extends from the suite to enjoy our lush tropical garden. Villa Duplex features an open-air living room on the ground level. 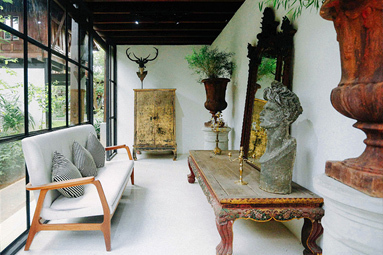 The resort is decorated with objet d’arts from our Owners’ private collection. 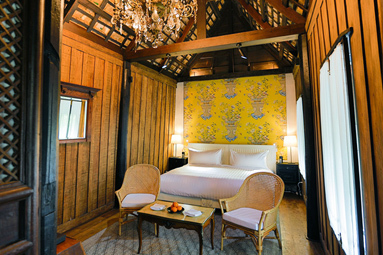 All 14 villas are uniquely decorated with different color schemes, furniture, numerous pieces of arts and crafts. Each villa has their own chandelier and there are 37 chandeliers in total at the resort. 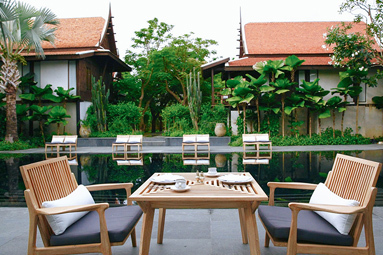 There are 1, 2, and 3-bedroom pool villas for small groups or families. A step-well salt water main pool. 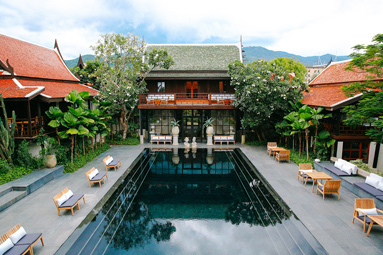 Ten minutes away from Chiang Mai International airport and 15 – 20 minutes drive to major sights and sounds of Chiang Mai. Famous for our High Tea as well as Thai home cooking cuisine.